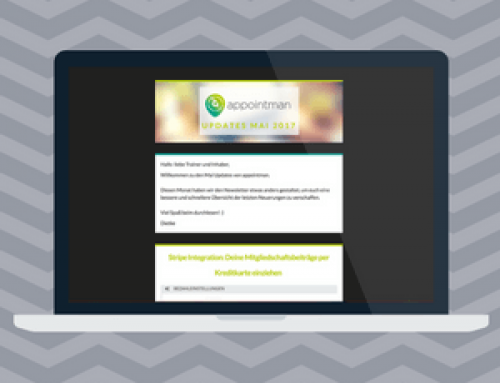 Welcome to the appointman Updates in June. 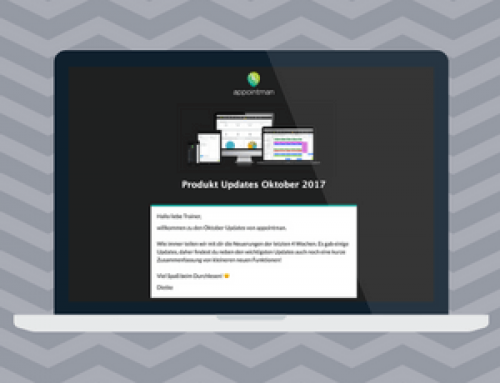 Like always we talk about new features we implemented this month. A summary of the most important updates can be found below. You are using the appointman Online Shop? By adding your logo to your invoices you will seem even more professional. In addition you have the option to preview the complete invoice including your added texts. The invoice settings can be found under Shop > Settings. When clicking on an individual class in your class scheduler you will now find the option to add notes. This way you can plan your training sessions and add important information your customers don’t need to see. This feature can be activated by clicking on Settings > AddOns >Notes on classes. PS: CrossFit have another great option by adding workouts to the classes with our new WoDman Feature (currently in alpha phase). If you want to test it, let us know. Your employees can now be booked for several customers at the same time. This can be especially useful for services like personal training or EMS training for example. The option can be activated in each service – so your employee might be able to do 1 Massage at 2 p.m. but can actually do 2 Personal Trainings at once at 3 p.m. This ensures a better utilization of your trainers. 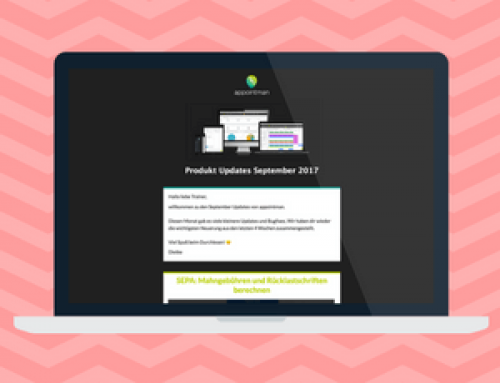 In addition to the regular lead list you can now manage your leads more effectively with our detailed lead overview. This list will give you more details and filter options and can be reached by clicking on the little arrow icon on top of the current lead list. No matter if you have news or want to start a survey. With your own app you will be able to send your customers push notifications on their mobile to make sure they will not miss out on anything. Keep your customers up to date. Surveys will be seen and your customers respond with just a few clicks on the phone. We shared our website progress several times via Instagram – and finally the new website is finished and available for our international customers. We are so excited to start a new chapter for appointman and would love for everyone to share our new website or give us a like on Facebook to spread the word. appointman meets GDPR: How to work with appointman GDPR compliant!